Do you even Petit Verdot, bro? I can't believe I just said that but I just had to. 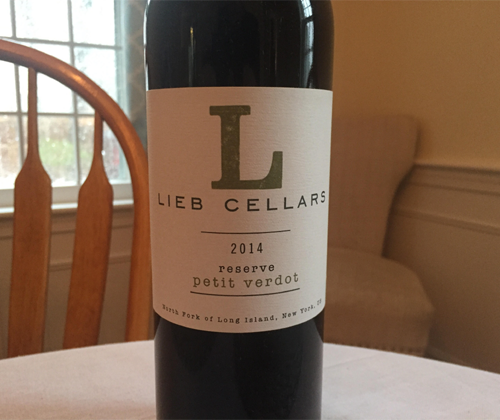 Petit Verdot is the new Petite Sirah: everybody loves it and they just don't know that they do. So when Lieb and I decided that it was time to rekindle passions of lust, I had to give their PV a try. It's not just the magical blender anymore. It's rising as a varietal to be reckoned with. This one was hand harvested, aged in Hungarian oak for 10 months, and has an ABV of 13.2%. The color is a dark purple with vibrant violet edges. Aromas of black table pepper, clove, jammy blackberries and pipe tobacco are rising up out of the glass. The wine is full bodied with a rich and lush mouthfeel and silky tannin. There's flavors of blackberries, juicy plums and vanilla. The finish is absolutely brilliant. Silky and beautiful with fleshy blackberries, fine black table pepper, and a burst of acidity bringing tart cranberries, that seems to go on forever. I keep drinking it just to get back to the finish.